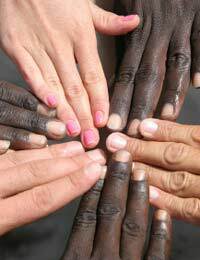 Racial equality is deemed to be a fundamental human right. Whilst there may be some limited situations in which it is permissible to treat a person differently on account of their racial background this would usually amount to discrimination. A new Equality Act which came into force in October 2010 now covers many of the UK's laws governing the right to be free from racial discrimination. The UK has a long history of receiving immigrants, refugees and visitors from countries around the world. In addition to an ongoing influx of foreign nationals the UK has seen substantial waves of immigrants at different times – often by people fleeing persecution, natural disasters or economic hardship. The UK’s history as a destination for immigrants has resulted in a population with a mixed ethnic and cultural background – particularly around urban centres. Although the UK has never recently been officially segregated, there is no doubt that racist attitudes have existed and may persist to this day. Overt or covert discrimination may have been tolerated well into the Twentieth Century. Today discrimination is almost universally outlawed except in rare situations. For example, a club for people from a particular ethnic background may be allowed to refuse membership to people from a different ethnic background. Until recently, the laws against discrimination on account of an individual’s race were contained in the Race Relations Act 1976. Although this has now largely been replaced by the Equality Act 2010 (see below) it may still apply to some acts of discrimination which took place prior to October 2010. The Race Relations Act made it unlawful for employers to discriminate against workers on account of their race, ethnic origin or nationality. It also provided that positive action may be taken by employers in some circumstances to increase the numbers of employees from a particular ethnic background. European Human Rights law was brought into effect in the UK in 2000 when the Human Rights Act 1998 came into force. This sets out various fundamental human rights which are considered to be common to all people. Under the Human Rights Act individuals can enforce their rights against public authorities who breach them. one or more of the other rights being applied differently to that individual. A public authority that acts in a way which leads to an individual being treated differently on account of their racial background may have a defence to a claim brought under the Human Rights Act if they have a good reason for acting in that way. Many of the UK’s laws dealing with equality and discrimination have been brought together under the Equality Act 2010. A substantial part of this Act came into force in October 2010 and it sets out new guidelines and rules on discrimination. The Equality Act legislates against discrimination based on “protected characteristics” – one of the nine protected characteristics contained in the Act is race. Under the terms of the Equality Act it is, therefore, unlawful to discriminate against an individual because of the colour of their skin, their nationality or their ethnic background. The rules against discrimination contained in the Equality Act apply to employers, service providers and educational establishments. Under equality laws all public authorities in the UK have a positive duty both to avoid racial discrimination and to promote equal opportunities for people from all racial backgrounds. Public authorities also have a duty to encourage better relations between people from different backgrounds. In carrying out this duty, public authorities uphold the principle that human rights are universal and do not depend on an individual’s racial or ethnic background.